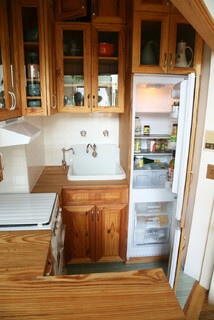 How do you get storage, prep space, cooking space and a washer-dryer into 40 square feet? Ask Palmer Thompson-Moss, who did just that for a New York client. "These constraints actually helped us make something nice that works really well," he says. 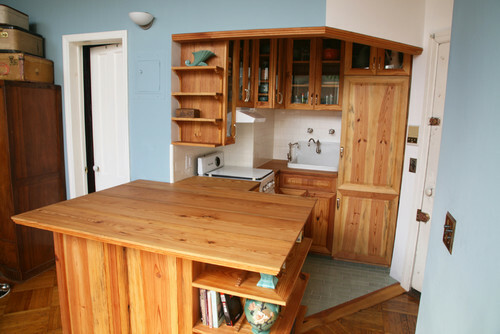 Even better, almost every part of this teeny kitchen is reclaimed from various demolished projects in New York City. Handmade cabinetry made from salvaged old-growth pine, salvaged subway tile, a vintage stove and a massive island combine beautifully to give the client everything on her wish list. 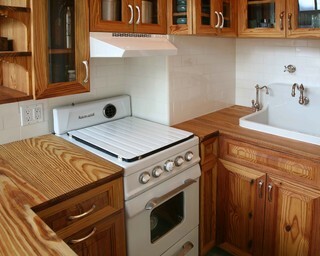 Traditional Kitchen by Brooklyn Design-build Firms Grant Davis Thompson, INC. The previous kitchen was an eyesore. "You were just looking at this hideous thing from the living room," says Thompson-Moss. 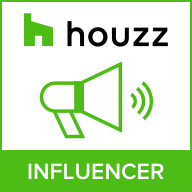 He likes to use salvaged items in his design, rather than using just recycled materials. 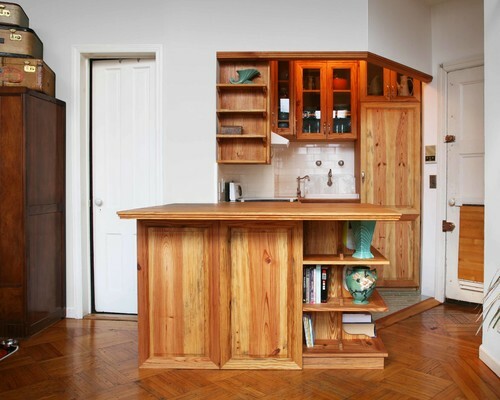 He had the custom cabinets built with salvaged old-growth pine beams — very dense — from old New York City buildings. "These were the beams that built New York," he says. The designer found the 1930s Armoid stove on Long Island via Craigslist, and painstakingly cleaned and polished it before installing it in the kitchen. "You really have to really do your research to make sure that a vintage stove is actually working and it'll fit in your space," he says. The subway tile was salvaged from old apartments and projects around New York City. The long, glass cabinet doors and open shelving around the island put the client's beautiful dish collection on display. The shelving makes the large island look more like a piece of furniture. "It feels less like a massive volume just sitting in the middle of the room," Thompson-Moss says. 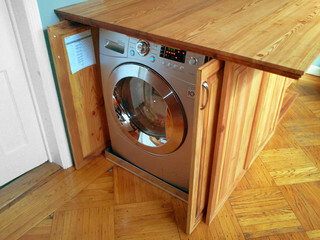 A space at the end of the island holds one of the client's biggest musts: a washer and dryer. This LG appliance actually combines both functions in one to save space. A superthin Blomberg refrigerator with custom wood panels fits the kitchen perfectly. Thompson-Moss had to leave the build-out in the wall on the left side of the sink because it contains plumbing. The upper cabinet actually wraps around this section of the wall. A glass panel on the side of the cabinet keeps it from looking too awkward. The sink was salvaged from Demolition Depot in Manhattan's Harlem neighborhood. TheHerbeau fixtures — among the few new things in the kitchen — were carefully chosen to match the sink. 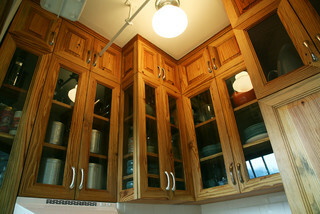 The vintage cabinetry hardware was refinished to a shine. A sprinkler pipe at the top of the kitchen posed some problems with the new, higher cabinetry design. The pipe couldn't be moved, so Thompson-Moss built a door around it. The door is stationary, but the inside of the cabinet can be accessed through the other door. Browse living room ideas, from sectional couches to a unique chandelier and floor lamp, for your next interior design project.